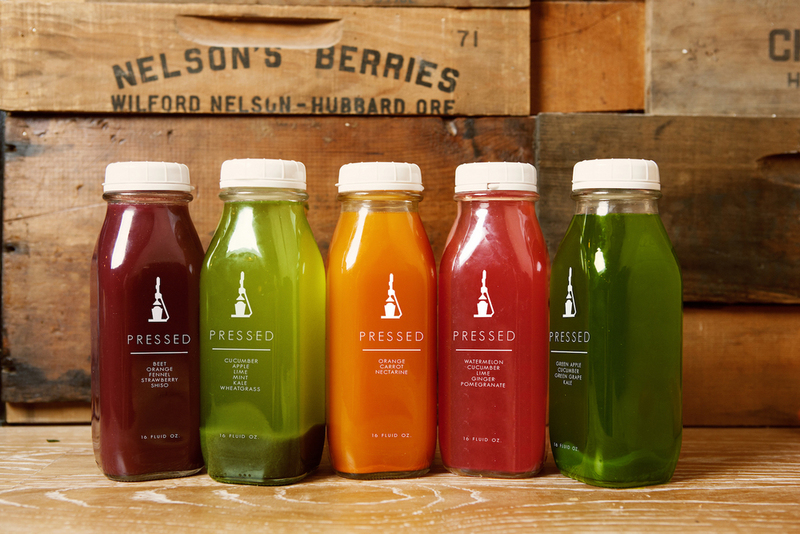 Tell us a little about Pressed. What makes it different from other juiceries or smoothie shops? We have a culture of inclusivity not exclusivity. To us this means: do the best you can! Life isn't about cutting things out (sugar, calories, etc.). It is about making choices that are good for you. For example, I eat something green everyday, but I drink too much coffee and not nearly enough water. I don't beat myself up or hold myself to unrealistic expectations. I just do the best I can, and if I have a bad eating day, or non-excersice day...I’ll just try to do better tomorrow. What did you do before opening Pressed? How did clean eating become your career path? I worked for several hotels in Boston running their F&B programs. I also did a few years in corporate meeting planning. I’ve always loved the fast-paced atmosphere of a restaurant and love food. I also have a passion for helping people, so choosing a career in hospitality was the best of both worlds. What were some of the challenges you faced when you opened the shop? Everything! Just kidding, well not really... Thankfully I'm used to an industry that changes everyday. In this type of work, you’re always putting out fires (both literally and figuratively). But opening a brand new restaurant amplified that. We’d open everyday and I’d have no idea if we’d be busy or slow. Would we have enough food? Would be have too much juice that would spoil? After 8 months it still feels like that. Will September be a good month? No clue until it happens! Balancing work life and personal life has been a real challenge. Thankfully I’m lucky that my friends and family haven't disowned me just yet! When you own your business - work leaves with you everyday. I’ll work a 12 hour day and then come home and sit on the couch and do another 2-3 hours on the computer. Your phone can never be on silent and you have to commit to no vacations for at least a year. But I try really hard to work in an hour or two a day for some quiet time. From a business standpoint it just made sense. This was a neighborhood filled with healthy people that had NO healthy and quick options. You must hear this all of the time but, your store is gorgeous. Tell us a little bit about the concept and how you designed it. THANK YOU! I can never hear that enough. We felt strongly that we needed to have a tight brand. You should feel just as good walking into our space as you do walking out. Our good friend, Chris Kofitsas of New World Design Builders (also did Toro NYC and both NYC Gansevoort Hotels) worked with us for the design. We wanted it to bring in elements that were rustic and earthy, but also feel modern and clean. Okay, back to the food. How do you develop your recipes? Our friend, Chef Joya Carlton helped us. She opened her restaurant, The Butcher's Daughter in NYC and is also a personal chef for Will Smith and Justin Timberlake (I don't even feel bad about bragging - haha). We had a very clear vision of what we wanted the menu to be, but felt like we needed a little extra help from a professional to really knock it out of the park. Why is healthy food on-the-go so important? Because the only food options on the go are complete crap! Croissants, muffins, chips, double cheeseburgers, etc. If you want something healthy you have to pre-plan, make it at home, and stick in in some tupperwear. When you’re busy its natural to just grab whatever you can get your hands on - and those are usually the WORST things for you. People not only want to look better, but they want to feel better. They want more energy, less aches. I also think there is so much more awareness about disease and people are realizing that will a better diet and lifestyle they can not only live longer, but live a more enjoyable life. How can a gal make a simple change to better embrace this in her daily life? Just do the best you can. When it comes to food...eat more things that come from the ground and less that come from a plastic bag. What has been most rewarding about Pressed so far? The ability to give almost 15 people jobs to support themselves both financially and emotionally. For example, our dishwasher comes from a really hard neighborhood and told me the other day that he loves working here because people really care about him. When he’s sick, he gets a text from almost everyone saying to feel better. And when he comes back from his days off people say “How were your days off?” and genuinely mean it. Our team cares about each other and does great work. What is next for Pressed? Favorite Boston hangout: South End, just about anywhere. Your go-to Pressed menu item: A shake, I never seem to find the time to eat so I just grab one of those and can take it with me as I go and it always fills me up. This month's Ladies Lounge networking group will be on the theme of passion projects. Ashley Gleeson will be sharing her story and giving us some tips on how to turn our passions into careers. Who's That Gal: Kimberly LaFoy of Loyal Supply Co.